Virat is getting criticized left and right for his captaincy. No way that the captain of the national side will go into a World Cup with a disastrous IPL where he is totally under the microscope. RCB is still going to make it and go far. @vvvslaxman There is already a lot of doom and gloom about Kohli’s captaincy going in to the WC after 3 frickin IPL games and this is just not a typical ICF “measuring contest” of my idol vs your idol. Even the usually meek ex-players and journalists who tread a thin like when it comes to Kohli,Dhoni etc are saying it. IPL has a lot more eyeballs than what some “purists” living in a bubble would like to believe. Someone from powers to be will step in. The only way my prediction won’t happen is if Kohli is rested half way through. No way he is captaining all the way and ending up with an egg on his face. Kohl needs to win. Absolutely. This team will be at the bottom and will probably win a couple of games when Stoinis and NCN are back. Happy April fool's day to you too dot waale babaji ! When srh looses majority of its foreign players for national duty, then maybe, MAYBE RCB will have a chance to grab the 4th spot. They play many games at chinnaswamy with their crap attack- its going to be very bad for RCB this season. CSK normally lose one and win one every year against RCB and MI..
Southee, Siraj, Saini, Chahal will be the bowlers.. I had Hetmyer at 4 too.. I suggested Stoinis at 6/7 because RCB is always top heavy. If they lose Kohli, ABD, they are like a headless chicken with no sense of what to do.. They need some level headed guy lower down and that can't be Moeen or Grandhomme. So, Stoinis it is. I suggested Stoinis at 6/7 because RCB is always top heavy. If they lose Kohli, ABD, they are like a headless chicken with no sense of what to do.. They need some level headed guy lower down and that can't be Moeen or Grandhomme. So, Stoinis it is. Doesn't always work that way.. Agree to disagree. Kaptaan is under-estimating his "bowling"
ABD should open.Best attacker should play in Power Plays & should have the chance to bat most overs. Today is exactly why I've been saying not to expose both AB and Kohli in the top 3. 9 overs into the innings both are back in the pavilion... the rest of them will fall like a pack of cards. Always nice to see comedy on the forums. what names other than Kohli and ABDV? The dot won't be forgotten it seems. Still 0 wins. Will Kohli lead his team to zero wins this year? So far so good, he seems on track. RCB to go on a 9 game winning streak from now. You read it here first! They're peaking at the right time. With King Kohli and Lord De Villiers back in form. Right from the starting edition of IPL, RCB never had a top class T20 bowler like Narine, Rashid Khan , Andrew Tye, Jasprit Bumrah, Dale Steyn (for few years in SRH), Bhuvi (for few years for SRH) and Malinga. Their other bowlers too have been tonked well over the editions of IPL by the opponents more often than not. RCB have spent 27 crores on two players (ABD and Virat). The other mismatch buy was Yuvi for about 14 crores. These were not value for money buys. As such they were left with less amount to be paid to get top bowlers. 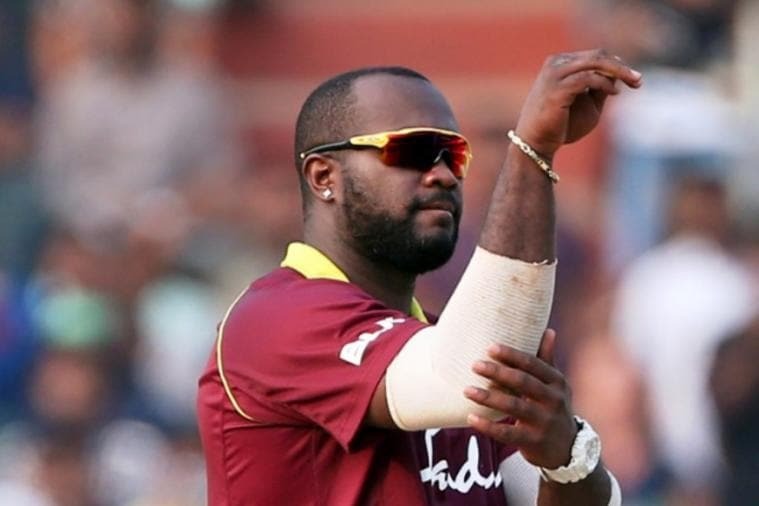 Unless and until they solve or reduce the price paid to AB and Virat, they will be doing poorly at auctions and it will reflect in their performances in future IPL seasons as well just how it is seen in the 12 IPL seasons. Still a technical chance though. And they released him and he is doing fine with Kings. The problem is the 27 crores for two players who are not worth anywhere near that amount. Look at Narine and Russell. 15 core for both who have out performed Kohli and ABD. Gayle to has been giving wonderful performances for most years inspite of earning lesser relatively. Even Rashid Khan is doing wonders for less than 10 crores. Many other examples.